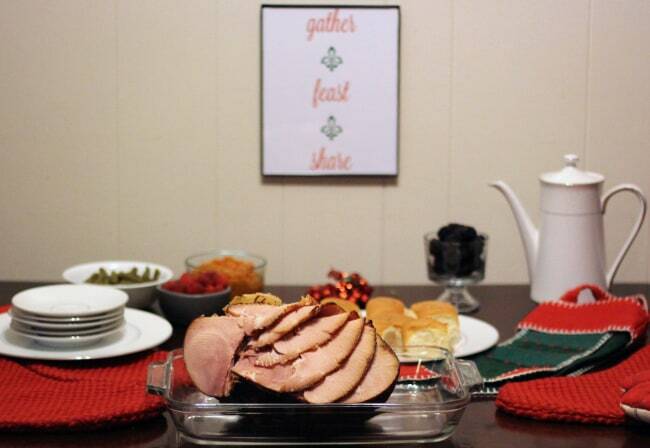 Serve The Perfect Holiday Meal With Help From Honeybaked Ham! This is a sponsored post in partnership with The Network Niche Influencer Agency and HoneyBaked Ham. All opinions are mine. I love the holiday season! Everything about the holidays are so special and memorable. I have fond memories of the delicious meals my mom would always prepare for Christmas, but I really had no idea how much work goes into each meal until I became an adult. 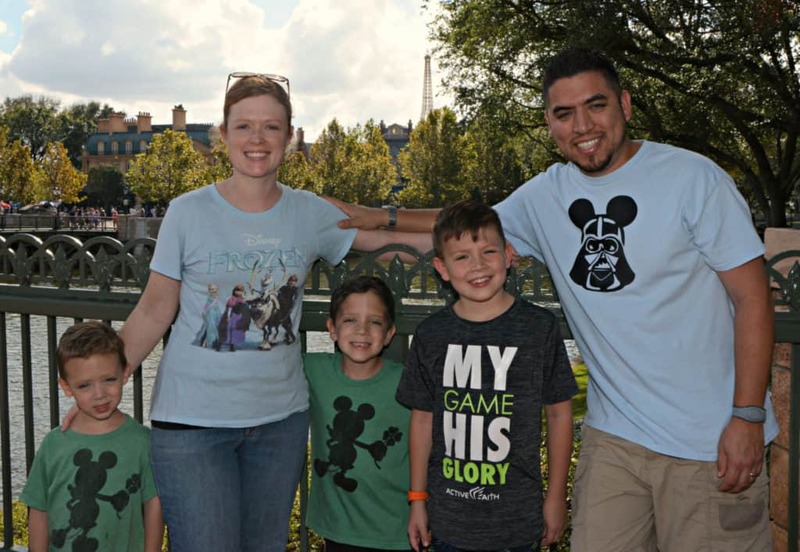 And now I know….it is SO much work, and so often, grandparents, parents, aunts, uncles, etc can miss out on special moments because they are in the kitchen, cooking away. I, for one, appreciate any and all help that I can get with a holiday meal. Sometimes finding the right help can make or break the meal. I chose to trust the professionals at HoneyBaked Ham, because they truly know what they are doing and have so much to choose from. Ham is, of course, the specialty at HoneyBaked Ham, but they also serve delicious turkey, steak, pork, sides, appetizers, and desserts! And you can hop in for a delicious lunch, too! The HoneyBaked ham was a huge hit at our house. The slices were so tender and the crunchy glaze was delicious. And did you know….all HoneyBaked Ham is certified gluten free. There are different sizes to fit your needs. The staff at HoneyBaked Ham was so helpful. They helped me select the perfect ham, and I was able to check it out before I bought it. They can help you with suggestions for your meal or event, and hook you up with the best tasting combinations! Find a local HoneyBaked Ham store on the website. Grab a coupon code to use on your online order to HoneyBaked Ham! Use code 720877 to save $5 on a half bone-in ham. Good for one-time only per user. Enter the code at checkout,online only. 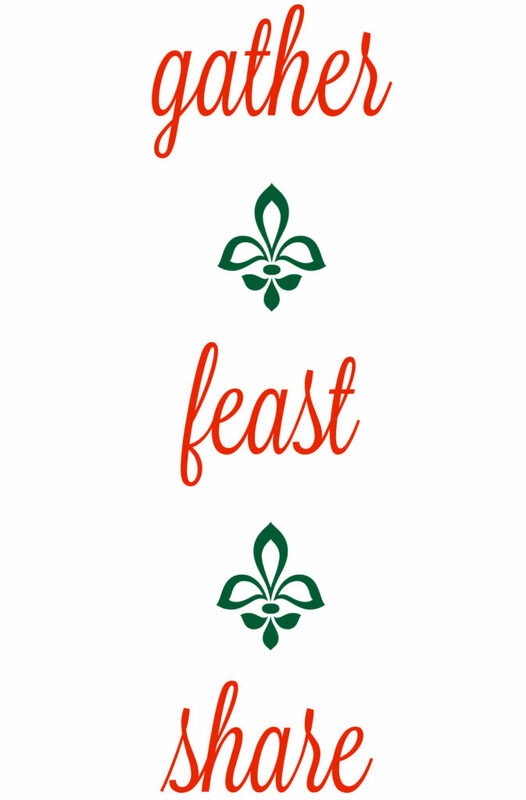 Here is a sweet holiday printable for your holiday meal! It is simple, but a great, festive reminder of sharing holiday memories (and meals!) together! 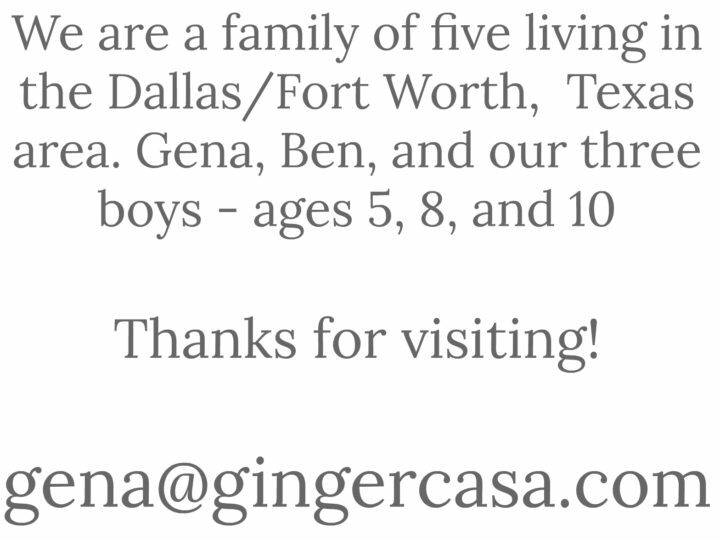 Just click on the image below to down the PDF. I would serve Honey Baked Ham for Christmas dinner. 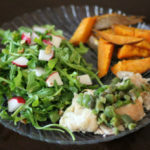 We love honey baked hams because they are lean and very flavorful. They also look elegant on the table. My family used to always have one for christmas eve or chirstmas day. This would be a great tradition to start again. Honeybaked Ham for Christmas dinner – yum! I would serve t at Christmas with King's Hawaiian Rolls (maybe as sliders, with various cheeses melted on them.) We aren't doing the huge feast this year, but we always like to have a good ham. I would serve it for our Christmas dinner. I'd serve this baked ham with turkey for Christmas dinner. With it, I'd serve wild rice, sweet potatoes, green jello, and a relish tray. I would serve the Honey Baked Ham for our Christmas dinner with lots of tasty sides. I would serve Honeybaked ham for Christmas or for a Sunday family dinner. I would LOVE to get this for my family and share this ham with everyone. I would serve this for Christmas Dinner. We serve honey baked ham for Christmas and Easter, with mashed potatoes. I'd serve the Honeybaked ham for Christmas dinner. I would serve potato salad, yams, green beans & rolls with the ham. Well, no matter what we make with it, Christmas dinner has to have a ham. Sometimes, we go all out, with mashed potatoes, stuffing, green bean casserole, kidney bean salad, cornbread salad, rolls, gravy, etc. But even if we don't, there's always a ham. We would have our Honeybaked ham for Christmas dinner. I would serve my Honey Baked Ham at Christmas Dinner!! I would serve Honey Baked Ham for Christmas dinner…and hopefully have some left overs for sandwiches. I would serve Honey Baked Ham on Christmas Day for our big Christmas meal. We actually don't like turkey very much, so it's our tradition to always get a big ham from Honey Baked. I would serve the Ham for Christmas. It is so nice to hear that the Lord is in your life. We serve the Lord everyday. We would have Honeybaked Ham for our Christmas Eve dinner with mashed potatos, green beans, creamed corn, rolls, and sausage cornbread dressing. I would serve it at Christmas. Oh we alwasy have a honey baked ham on New Years day! With lots of family over too! I would serve it on Christmas Day. I would serve it for Christmas dinner. I just love being with family and this is some great food! Honey baked is the best. Thanks for the awesome offer. I love your blog! Christmas of last year was the first time I tasted a Honey Baked Ham and I thought I lost my mind, I have never taste anything like this before and loved it we ate that ham night and day until it was all gone which didn't take long. I wish I had one right now just in time for Christmas it would make my table look really nice as the centerpiece with decorated red candles on both side but when it's dinner time the Honey Baked Ham better watch out it going to get devoured. I would serve Honey Baked Ham on Christmas dinner! I would serve it for Christmas dinner at my house. I would serve this for Christmas! I might go with ham & King's Hawaiian Rolls this year. Those go great together. We would serve honeybaked ham at Christmas! I would serve Honey Baked Ham for Christmas dinner and maybe also for New Years Dinner. What a great giveaway! I'd use mine for Christmas dinner. I would serve it as a special meal in the new year, maybe a super bowl party or just have some special friends over for a game night. I would serve HoneyBaked ham any time of day, especially for a holiday dinner. I would be so excited to serve this for Christmas. I would serve it at my next Christmas party! Yummy! This would be perfect for Christmas day! i would use it for christmas afternoon. I would serve the Honey Baked ham for our Christmas dinner. Thank you so much for the chance to win! I would serve this for our Christmas Eve family dinner! If I win, I will be making Honey Baked Ham for the Family on Christmas! I would serve this at Christmas dinner. I love their foods! I would definitely put this ham out with Christmas dinner. Honeybaked ham deserves to be right there on the table. I would love to serve it on Christmas Eve! If I wasn't going home for Christmas, I'd save the ham for sandwiches and breakfasts! 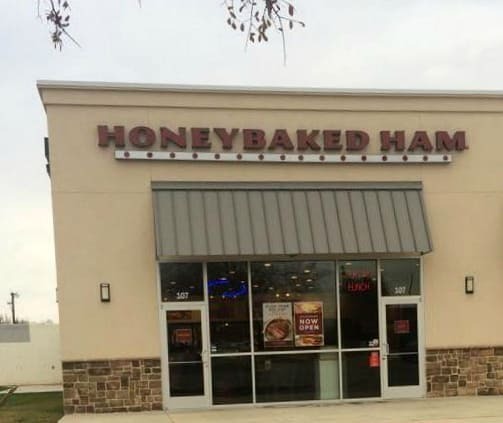 I am still thinking about that Honey Baked Ham…..never ending DESIRE. I would live to serve a Honey Baked ham to my family for Christmas dinner! Thank you for this giveaway! I would serve it for Christmas day dinner. I'd make dinner for my family some evening. I would make Ham and cheesy scalloped potatoes. I would serve my Honey Baked ham with my family for Christmas Eve dinner! 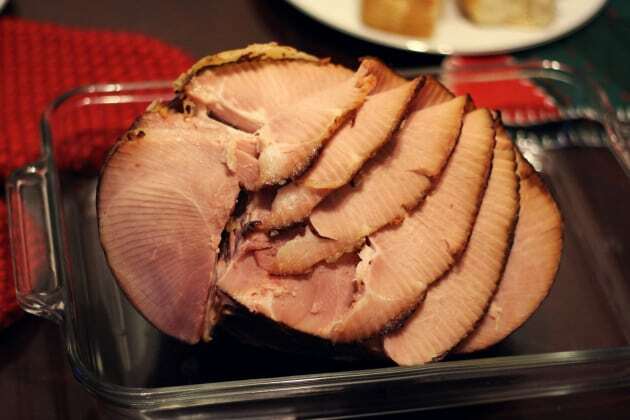 I would serve Honeybaked Ham for Christmas dinner and again for New Year's dinner. 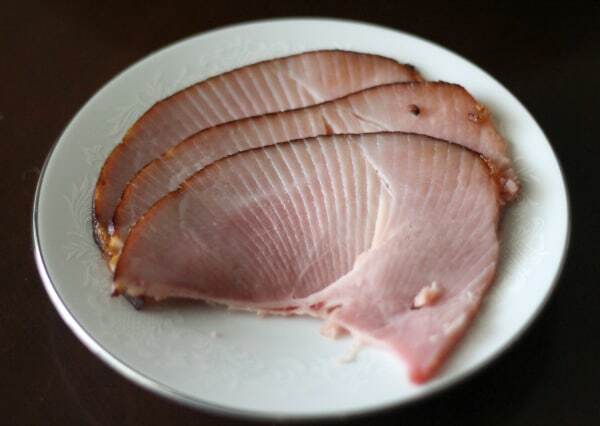 I like Honey Baker Ham….for the Holidays or anytime. It would be great on a New Year's Eve buffet. I would serve Honey Baked Ham on Christmas dinner! It looks delicious! I would serve it for Christmas dinner. Thank you for the giveaway! Since we celebrate Christmas at a relative's house, I would serve it for New Years Eve. This ham would be great at Christmas dinner. I could see serving it with stuffing, mashed potatoes, rolls, corn, etc. That would be good! I think it would be perfect for Christmas Day. Their food is so good! I'd be inclined to serve my Honeybaked ham for Christmas dinner, but I'd be happy to serve it anytime! I'd serve Honeybaked ham at breakfast! There is nothing better than hot toast with butter that is topped a slice of ham…great winter breakfast!! I would serve it in January. My kids are unable to make it in for Christmas day, so we will be having our dinner in January. This would absolutely be great to have! I would serve Honey Baked Ham for Christmas Dinner! I'd like to serve HoneyBaked Ham for New Year's Eve dinner. I would love to serve Honey baked ham for our christmas eve dinner! I would serve this on Christmas with King's Hawaiian Rolls, because my nephews love that combo! In fact, we all love that. I would serve it with salad, mashed potatos and pasta salad. I would serve it for Christmas dinner. We love Honey Bake Ham. We will be having our Honeybaked ham for Christmas dinner. I would serve the HoneyBaked ham for Christmas along with mashed potatoes, rolls, sweet potato balls, green bean casserole, and jello salad. If the ham arrived after the holidays than I would make this delicious feast for my Birthday instead. Honeybaked ham would be served for Christmas. 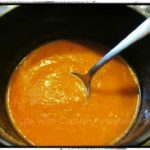 Goes great with turkey and the fixings! This ham would be great to have on christmas! I would serve it for Christmas dinner or for my anniversary dinner whiich is in January. I would serve the ham for Christmas. We try to have one every year, but I have never tried Honey Baked. Christmas dinner or Easter dinner! We always serve ham on Christmas Eve. With tamales. I'd like to serve HoneyBaked Ham for a Christmas Eve dinner. I would serve this Ham at Christmas dinner! I would serve it for my birthday coming up in January. We're having a bunch of family over, this would be perfect! I will be serving my HoneyBaked ham for Christmas dinner. I would serve Honey Baked Ham on Christmas, New Year's Day, pretty much any night would be great, but the holidays make it even better. I would serve for our Christmas Dinner! We always have a nice Honey-Baked Ham for Christmas. We also have it many times throughout the year. 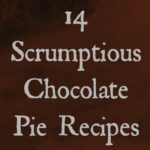 This is one of our family favorites and when we have a crowd over, it's sure to please everyone! I would serve it for lunch or dinner. I'd serve Honeybaked ham for New Year's eve! This would be great with pretty much any meal. I might serve it with good rolls & have Christmas sliders, lol. The meal I would serve the HoneyBaked ham for is Christmas dinner. I would serve Honey Baked Ham at Christmas and Easter! I would serve it for our Christmas dinner! I would serve it with mac n cheese, collard greens and candied yams! Any holiday, Christmas day, New Years eve or New Years Day would all be perfect times to serve ham. Thanks! I would serve Easter dinner. I would serve the Honey Baked ham for Christmas dinner and luscious leftovers. Thank you! I would serve the ham for Christmas Eve dinner. I would serve it for our New Year's dinner with some black eyed peas for good luck. We serve Honeybaked ham on New Years Eve.